The fun of Upfronts brings to us many delights and tears including renewals, cancellations, trailers and of course the schedule. 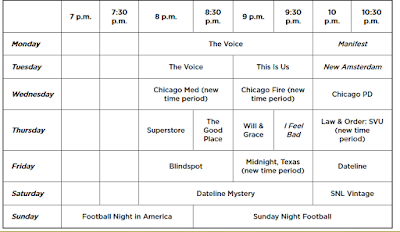 NBC have been the first to reveal their schedule with Manifest getting the Monday 10pm post The Voice timeslot. 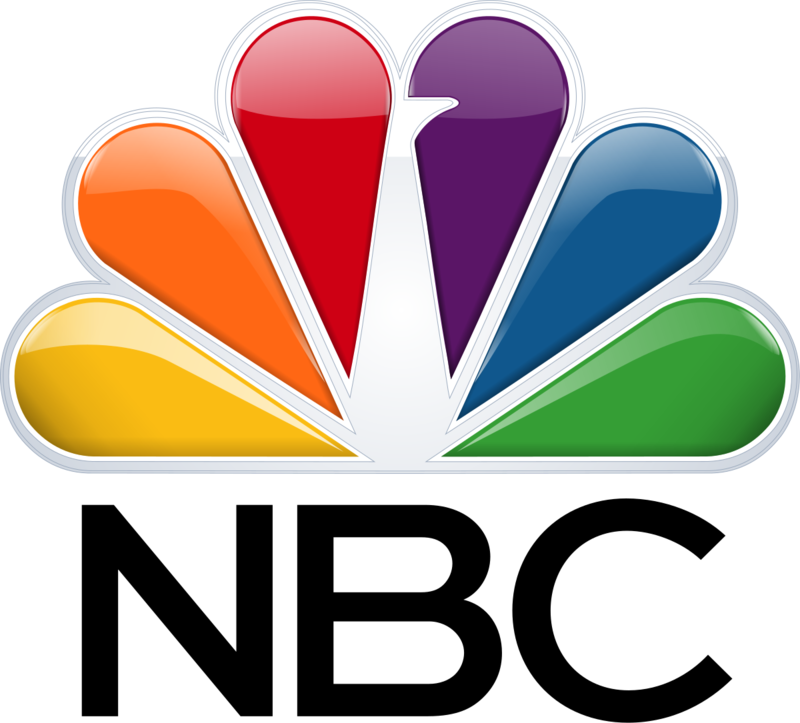 Superstore, The Good Place, Will and Grace lead NBC's comedy Thursday's from 8pm with Law & Order SVU airing at 10pm in a new time slot. 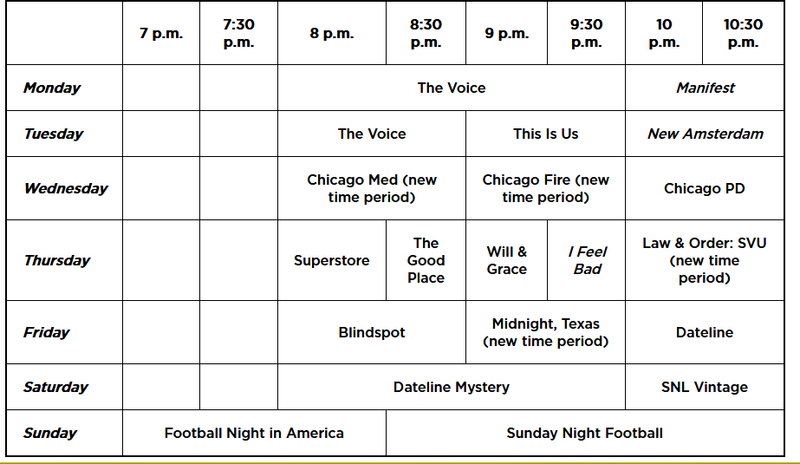 And Blindspot retains its Friday night time slot at 8pm with Midnight, Texas following at 9pm. Missing from the fall schedule from the renewed series are The Blacklist, which yesterday clinched a last-minute 22-episode order, and midseason entries AP Bio, Good Girls, as well as the just rescued Brooklyn Nine-Nine, which NBC picked up after its cancellation by Fox. Good Girls will air on Sundays following World of Dance. The Blacklist will premiere in January at 9 P.M. Friday following Blindspot running continuously without repeats. A.P. Bio and Brooklyn Nine-Nine also will return in midseason. New NBC series left on the bench for a midseason premiere include Michael Schur’s new comedy series Abby’s, along with drama series newcomers The Enemy Within, The Village and The InBetween.